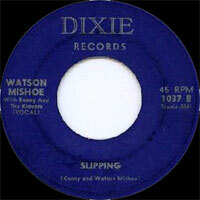 Chanteur Rock 'n' Roll US originaire de Hampton (Virginie), Watson Mishoe a enregistré chez Dixie Records de Madison (Tennessee). Watson Mishoe est mort le 16 Juin 1993. 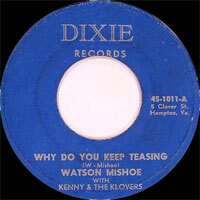 US Rock 'n' Roll singer from Hampton (Virginia), Watson Mishoe recorded at Dixie Records of Madison (Tennessee).